Thomas co-founded Venturelab, Alycore, Dextera, Multi Media Communications, DuB Media, XLR8FUND and Innovation Event, and has screened over 1500 companies throughout his career. He has helped fund several Norwegian start ups and early venture companies. He has both led and participated in a number of key deals. He has served as an advisor, strategist, placement manager and private investor and board member in several deals. 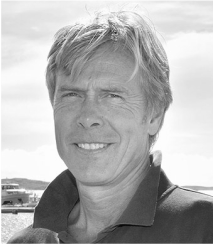 Joachim Svenstad McLean joined Venturelab in Autumn of 2015. Joachim gained startup experience by co-developing a non-profit organization. Through this process, he encountered several of the common challenges facing entrepreneurs, especially in the early stages. After joining Venturelab, Joachim received the role as Hub-Manager for XLR8, in charge of supporting the member companies and growing the hub. Joachim also works on all of Venturelab's investments ensuring project management and mission success. A "doer" by heart, Joachim provides the partners with thorough strategic and financial analysis, along with highly valuable input for strategy implementation. Anne is the newest member of the Venturelab team, and is in charge of running the day-to-day operations of the hub. Before joining Venturelab she had over 10 years of experience in the service industry. In 2013 she co-founded and developed one of the first vegan cafés in Norway - Prana Kafé. It became the highest rated restaurant in Agder. With her background as CEO of her own company she knows it takes a lot of hard work to run a business. She's creative and likes to think outside of the box, and is always happy to lend an ear if you're stuck in a thought process. Prior to founding Next Step, Jennifer held numerous sales and marketing leadership roles with Ungermann-Bass. During the 1990s Jennifer was International Sales Director for Tandberg based in Oslo. After the launch of Tandberg USA in 1997, Jennifer returned to Silicon Valley to build Next Step. Their clients include Adobe, Cisco, Genentech and Google as well as many smaller Nordic companies. Jørgen is a senior business executive with 25 years of international finance experience from Wescott, Unisys, Kvaerner, Hydro and Resources Connection. He has senior management experience from England, Norway and the US and considerable M&A and project management experience. He has a long background in financial consulting for both domestic and international companies.